This dress is an absolutely stunning example of Jenny Packham craftsmanship. The dress was bought from a Wedding Boutique in York at a price of 1400 pounds, and has been worn once. This dress has been exquisitely detailed with pearl buttons which cascade down a silk net overlay backed with a soft cream satin. 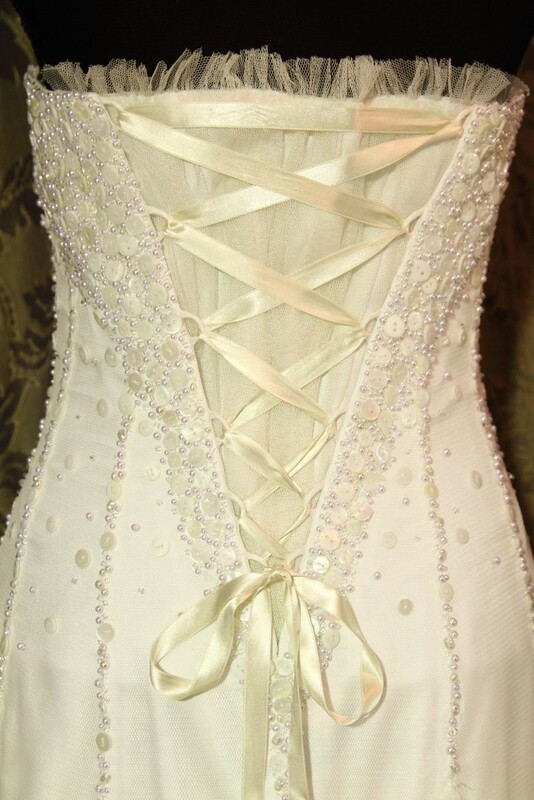 The back is laced with ribbons over a gathered chiffon modesty panel meaning that the size sits between 12 and 16 - it is labeled size 14. The gown has been professionally dry cleaned as is ready for your special day.